Home » life » This puppy had hundreds of parasites taking over its body, but its reaction when they are gone is unbelievable. This puppy had hundreds of parasites taking over its body, but its reaction when they are gone is unbelievable. In the West African country of Gambia, dogs and cats living on the streets have a serious enemy that shouldn't be underestimated. 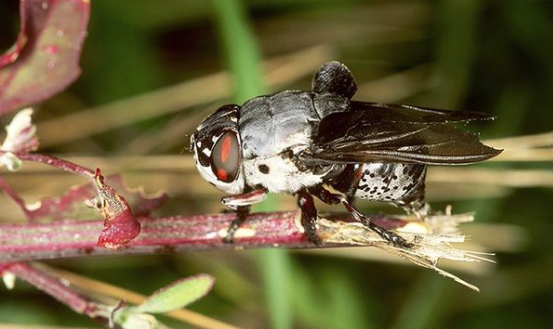 It looks small, but this tiny fly is life-threatening. We're talking about the Cordylobia anthropophaga, also called the mango fly. This fly typically lays its larvae in the sand and as soon as a dog or cat lies down to have a cool down, the larvae seek out its warm body. They feed on the mammal's body and grow into large worms, eventually making their host extremely weak. You can see the awful affects on this poor puppy below. An animal rescuer found her on the street and could tell she was sick. He took her to the local vet, Touray & Meyer Veterinary Clinic. They found over 100 mango fly worms inside her body. The first step was to check her paws. 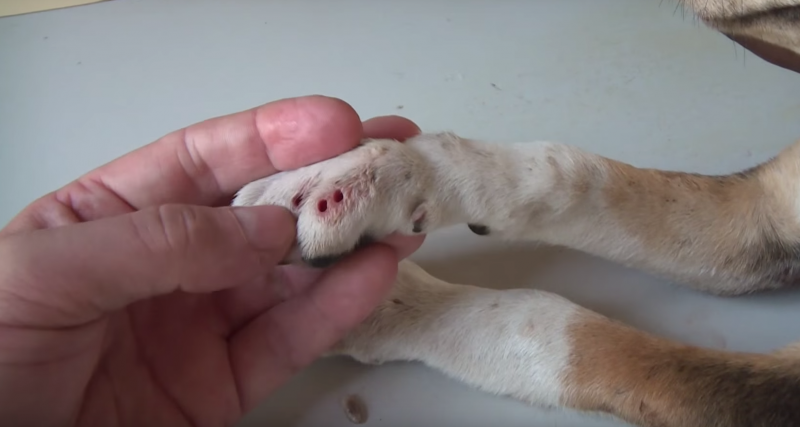 The vet squeezed her skin until the first worm poked its head out. 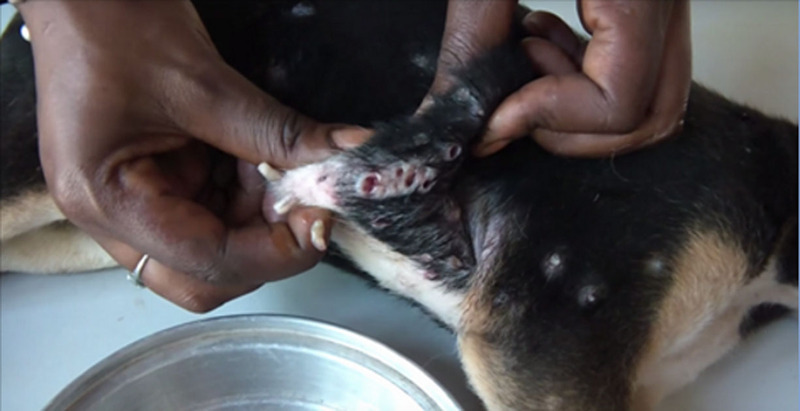 Once the worms were out, the pup was left with small holes all over her body. Even worse was trying to get all the worms out of her belly. She was left with one hole after the next. It's the only way to get them out: They have to be squeezed out one by one. It's a tough process for the young dog, especially when she's already feeling pretty low. Yuck. The collection of worms is astounding. But not all the larvae make it to the disposal dish - their host managed to gobble some up (I hope she chewed well). Some of the parasites out there are pretty gross. These larvae can also feed on human tissue. Even though the procedure looks pretty uncomfortable, we have to thank the vets involved for saving this sweet girl. I don't want to think about what would've happened otherwise.